PV Performance Modeling Collaborative | 4th PV Performance Modeling and Monitoring Workshop a Success! 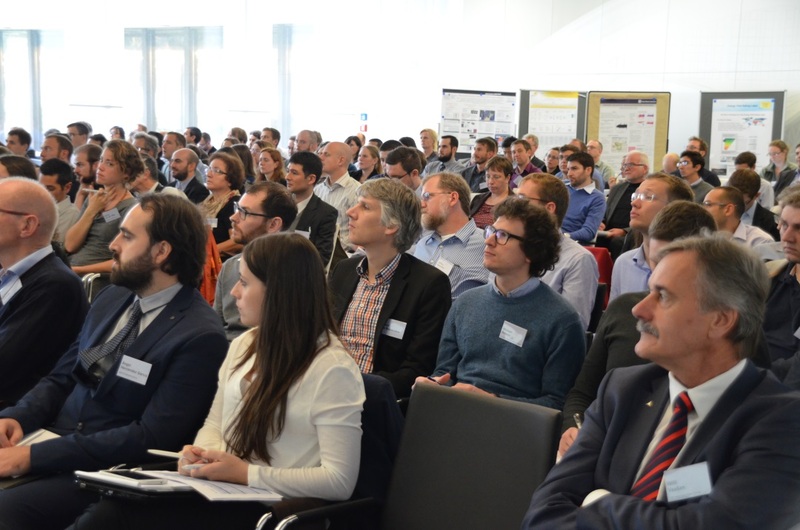 Approximately 220 solar energy experts from over 30 countries and four continents gathered for two days at the headquarters of TÜV Rheinland in Cologne Germany to discuss and share results related to predicting the performance and monitoring the output from solar photovoltaic (PV) systems. The workshop was divided into six topical sessions exploring advances in the areas of solar resource assessment, effects of irradiance spectrum on PV performance, soiling losses, bifacial PV performance, modeling tools, and monitoring applications. This workshop is the fourth and largest in a series of workshops organized by the PV Performance Modeling Collaborative or PVPMC (pvpmc.sandia.gov), a group started by Sandia National Laboratories in 2010 to bring together stakeholders with the aim of advancing the “state of the art” in PV performance prediction. The PVPMC collects information from the community and shares it on the web and in a set of open source code libraries in Matlab and Python. Workshop presentations are available for viewing and download here! Validation and comparison of four satellite irradiance products across Europe show that these datasets are becoming more accurate and that differences between different products are becoming smaller. A number of new spectral irradiance datasets are being developed from satellite data sources. The general availability of such data has promise to reduce uncertainty in PV performance modeling since spectral mismatch is one of the major sources of uncertainty in current tools. Two new spectral mismatch models were introduced at the workshop that utilize readily available meteorological data such as precipitable water, clearness index, and air mass to better estimate the spectral mismatch in PV performance. Model developers at the workshop expressed their interest in including such models in future releases of software packages. Soiling from dust and snow continue to be major causes of energy loss for PV systems, especially in certain regions. Estimating these losses in detail in performance predictions continues to be a challenge. Modelling and field data for bifacial PV modules and systems were presented. It is increasingly clear that significant performance gains are available from bifacial technologies; however current modeling tools are unable to accurately predict energy production from bifacial modules. Field monitoring of PV systems is still in need of standardized methods to ensure high quality data is collected. Several experts in this area presented examples of good practice, but these examples are not typical of system monitoring in general. One clear consensus was expressed by the participants: The Solar Energy Team of TÜV Rheinland did a fantastic job of hosting the modelling workshop. Their high quality, comfortable facilities, and gracious attention to detail allowed all participants to focus on the technical program and use our valuable time together as a group for developing and sustaining collaborations to improve PV performance modelling and monitoring. The next workshop is planned to be held in Santa Clara, California, USA in early May 2016. Check the PVPMC website for updates in early 2016.